While the naming referendum is often minimized as yet another Balkan spat over trivial matters, what should be clear is that many of the world’s powers, such as the United States, the European Union, NATO, and Russia consider this matter far from inconsequential. Far from “bailing out” Greece, the impacts of eight years of harsh austerity are manifested in a marked increase in poverty, suffering, and want. And far from “ending,” the austerity measures attached to Greece’s three successive “bailouts” are slated to continue for decades to come. The austerity measures, privatizations, salary and pension cuts, and all of the other measures implemented during the years during which the Greek economy was purportedly being “bailed out,” will remain in place. Indeed, it’s full steam ahead for all of these policies. 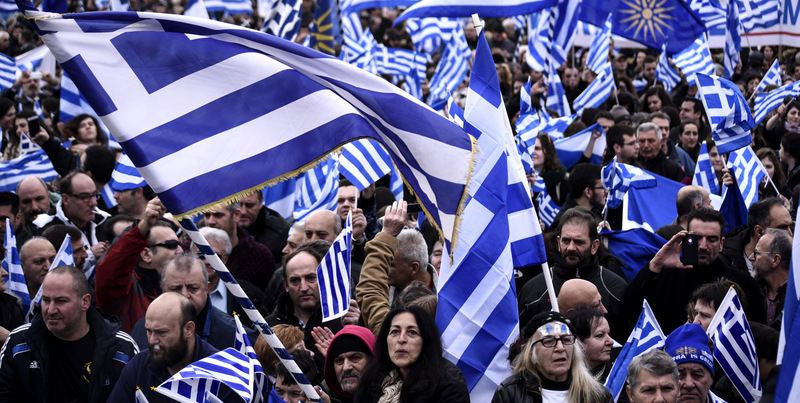 Greek authorities and the media may choose to brand the protesters “fascists,” “nationalists,” “xenophobes” or any number of other epithets, in an attempt to delegitimize them and their concerns. But what is fascist about being leery of U.S. and NATO intentions in the Balkans or opposing the nationalist, expansionist ambitions of a neighboring state? Internet content is neither “open” nor “equal” when Facebook, Twitter, and Google themselves are guilty of censoring or throttling information and material on their platforms, at will and with zero accountability to users. SYRIZA gained popular support and came in with a program that was really radical. They said we will socialize or nationalize the Greek banks and put in practice a very radical fiscal policy and increase the taxes on the rich, the Orthodox Church, and the oligarchs. They wound up doing just the opposite. This furious effort of all Georgiou’s supporters to prevent his case from being brought to trial reveals their panic as well as their guilt, because they know that in the forthcoming court hearing all the evidence will be revealed proving their involvement in the great national betrayal of Greece.